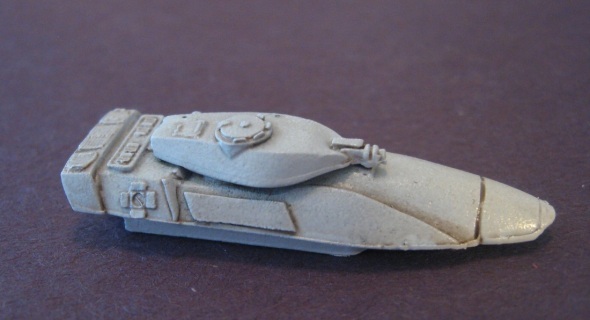 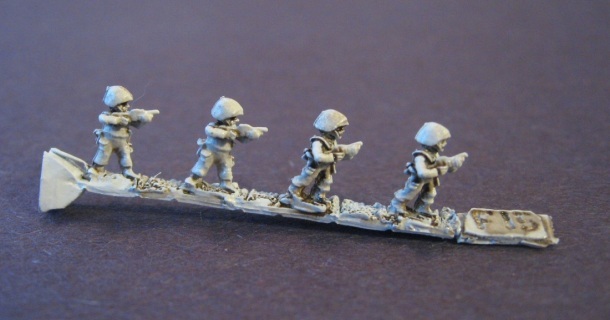 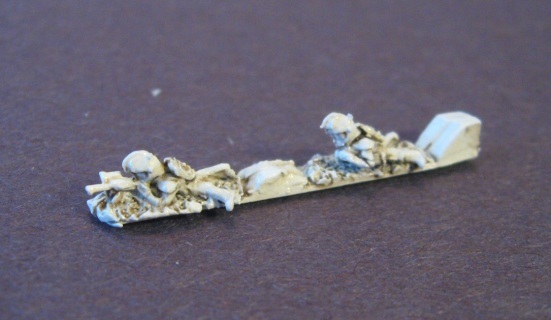 3x 6mm Metal miniature of Hornet Scout walker. 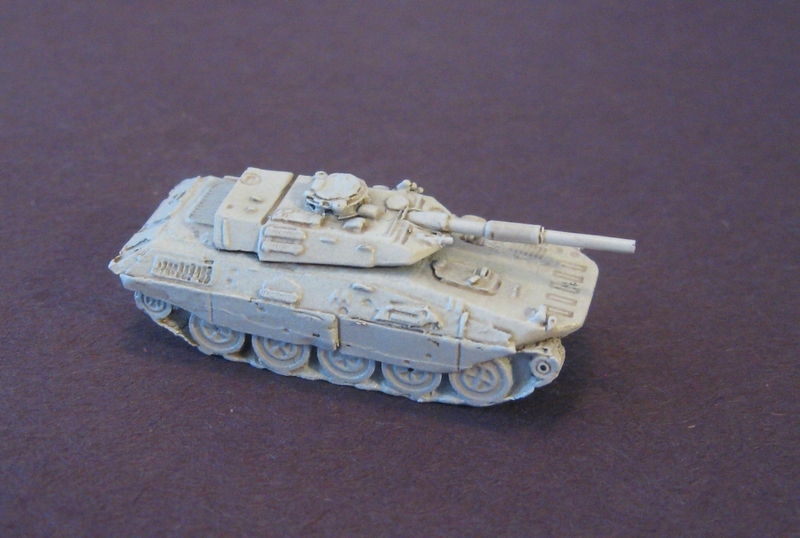 2 part kit. 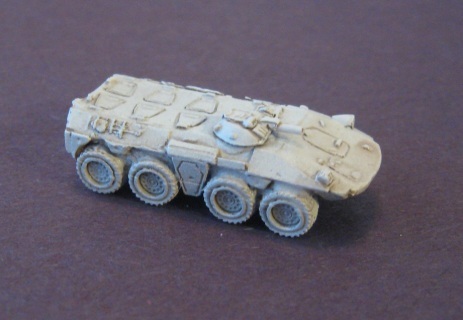 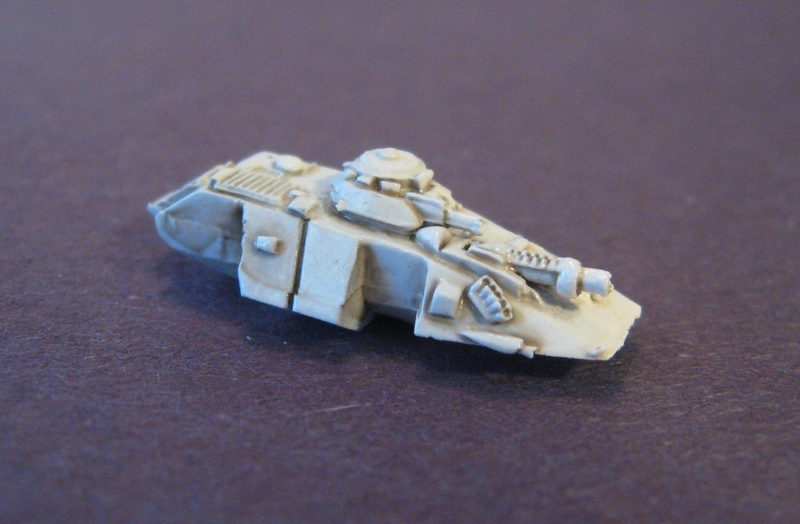 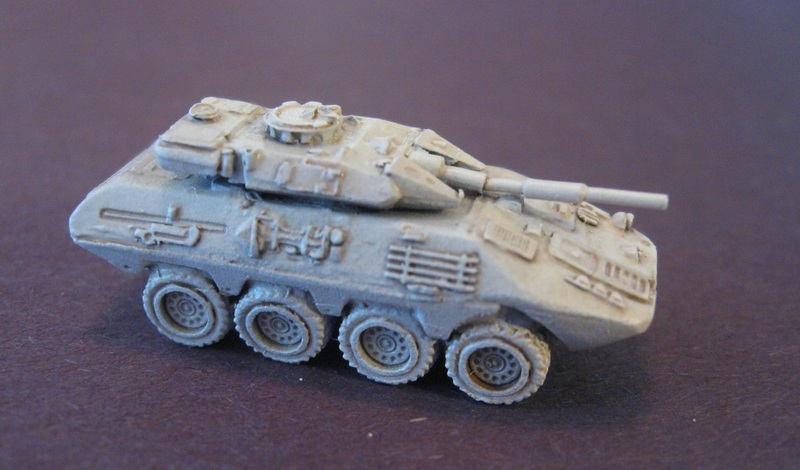 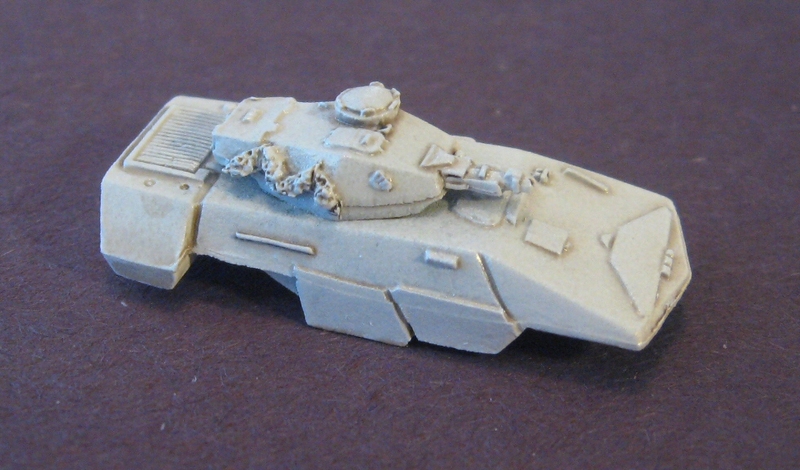 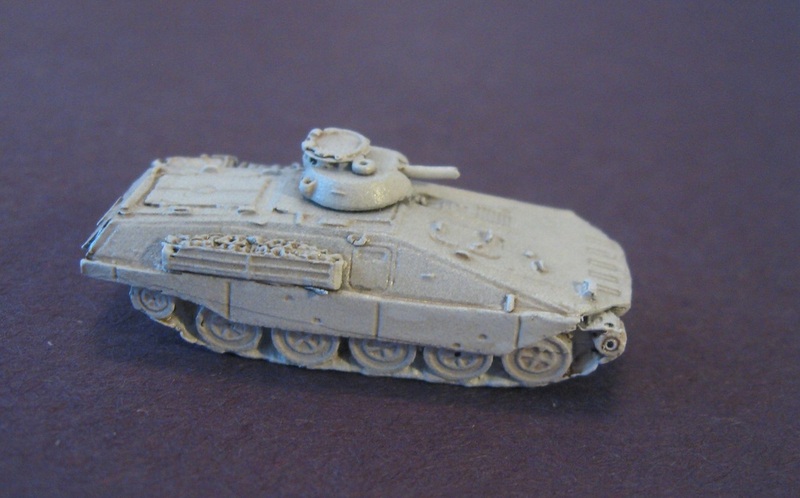 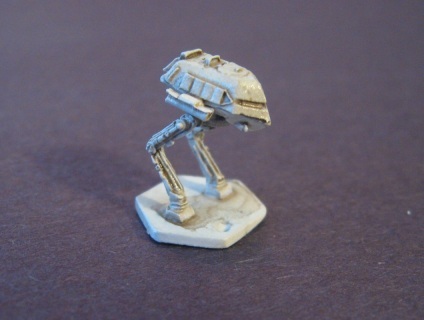 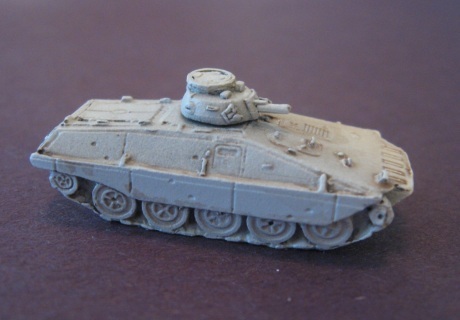 3x 6mm metal miniature of Valkyrie Battle Walker. 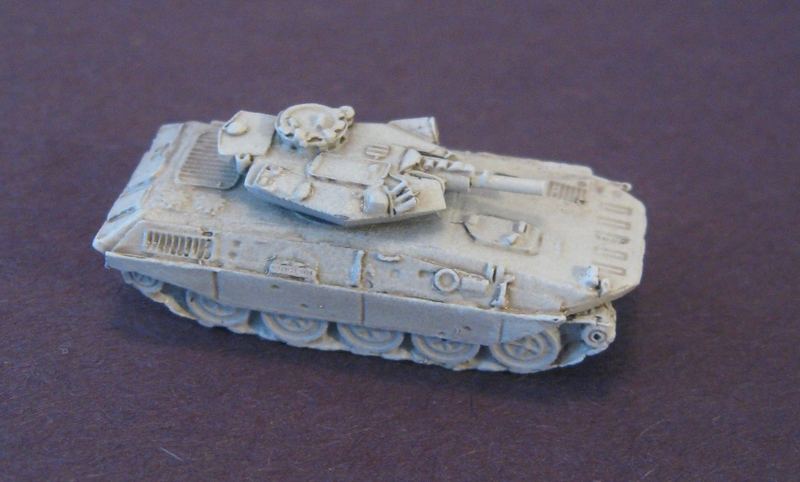 2 part kit. 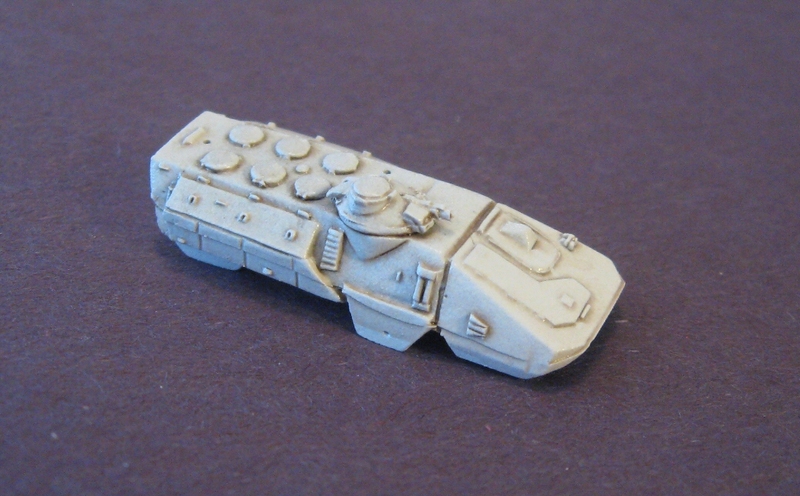 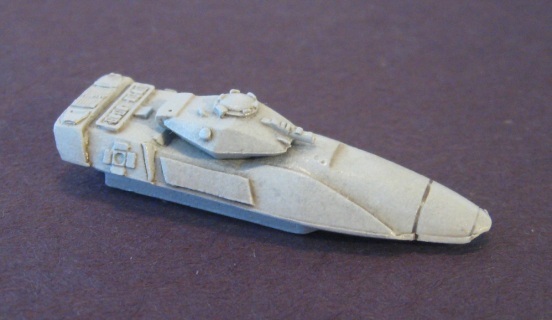 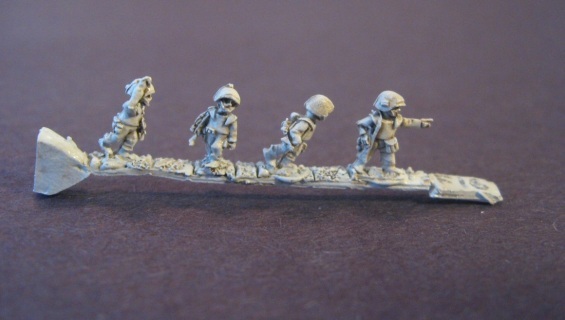 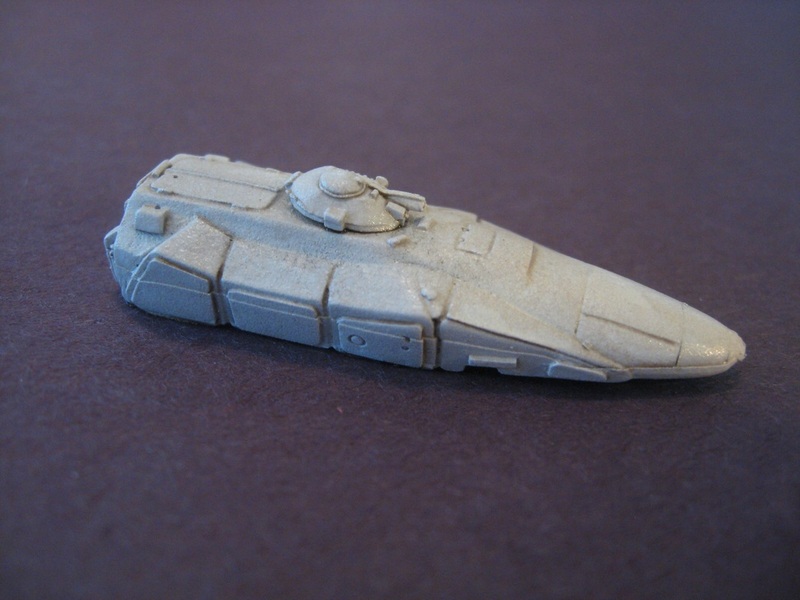 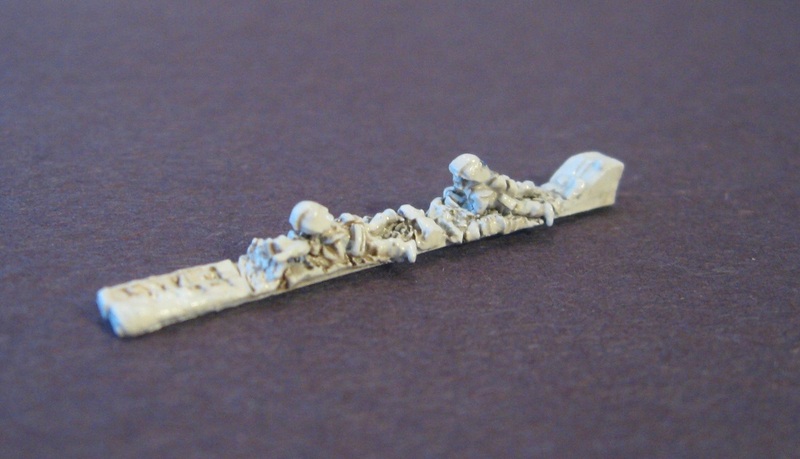 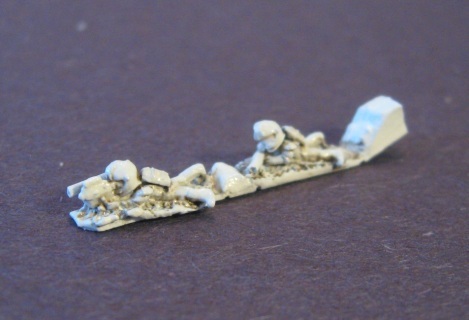 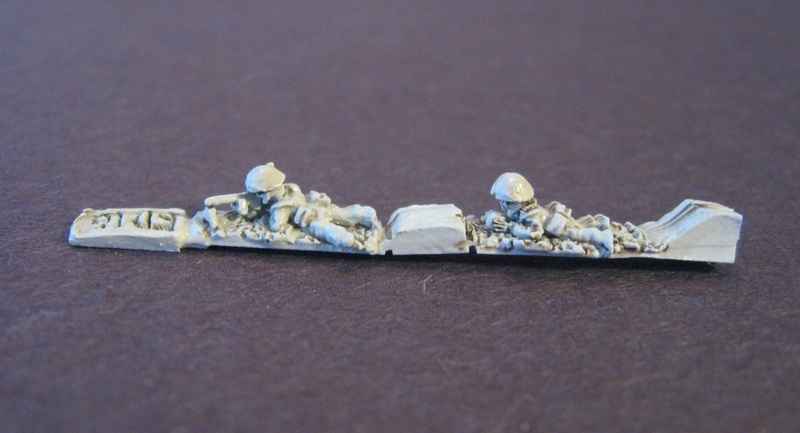 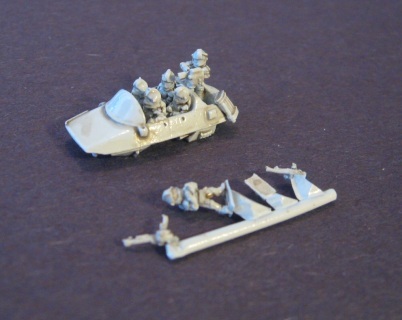 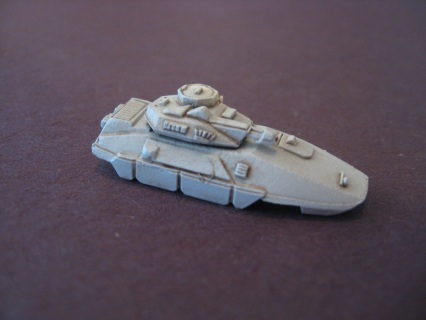 3x 6mm metal miniatures of Federation type Grave Raft with 5 crewmen and support weapons options (shown with a GML mounted). 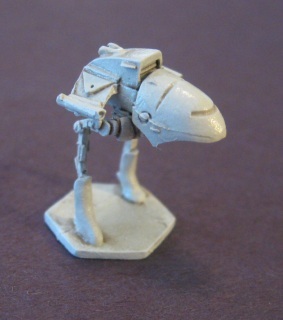 Contains very small parts. 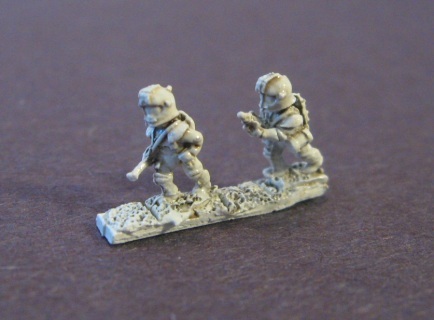 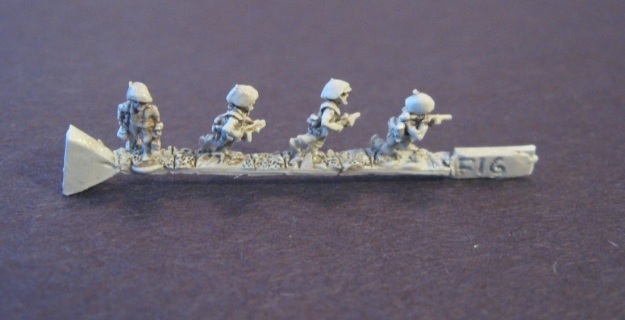 Single strip of 2x 6mm metal infantry figures wearing body armor , laying prone in a 2-man team armed with an Auto-grenade Launcher.